Killswitch Engage are coming back with their first album since 2009. Not only that, this will be their first record since the return of original front man Jesse Leach. 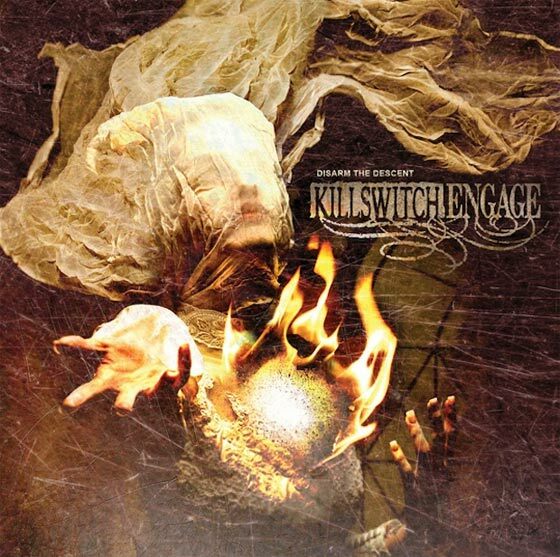 Click here to read our special on the Killswitch vocalist change. “Disarm The Descent” will officially be released April 2nd of this year! Not a bad a wait at all. And a new single from the album, “In Due Time”, will be dropped digitally on February 5th! The track listing has also been made available. Stay tuned for more KSE news! And while you’re waiting, blast the demo version of “No End In Sight” down below. The official “Disarm The Descent” album artwork has been unveiled and a new teaser video has been unleashed. You can view both of the above, below! Killswitch Engage just released a brand new music video for the single “In Due Time”! Check it out down below.